Next comic will be on Friday, May 5th. 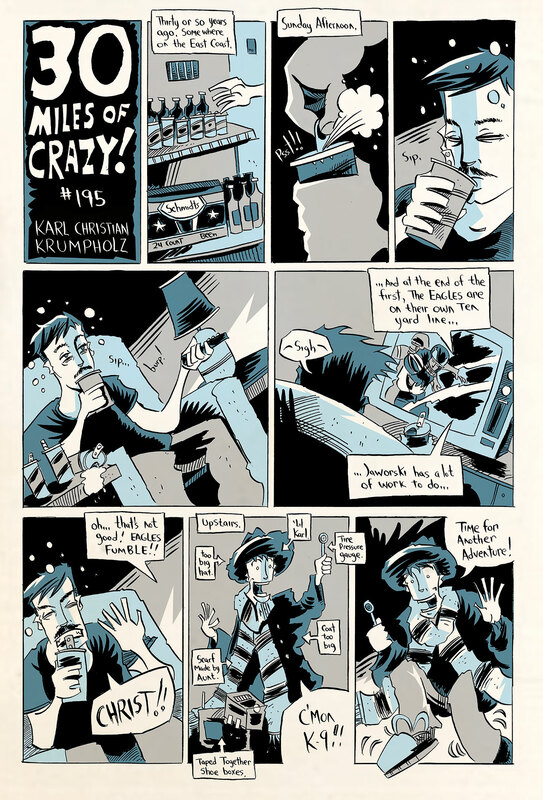 Also, check out my new interview with Groovey.TV at Dink Comic & Art Expo! Watch me ramble, talk with my hands about comics, Best in Show, fight for control of the mic, watch a dog parade, and interview myself as Groovey drinks all my booze. Next comic will be on Friday, April 28th. Things have been wicked insane here. 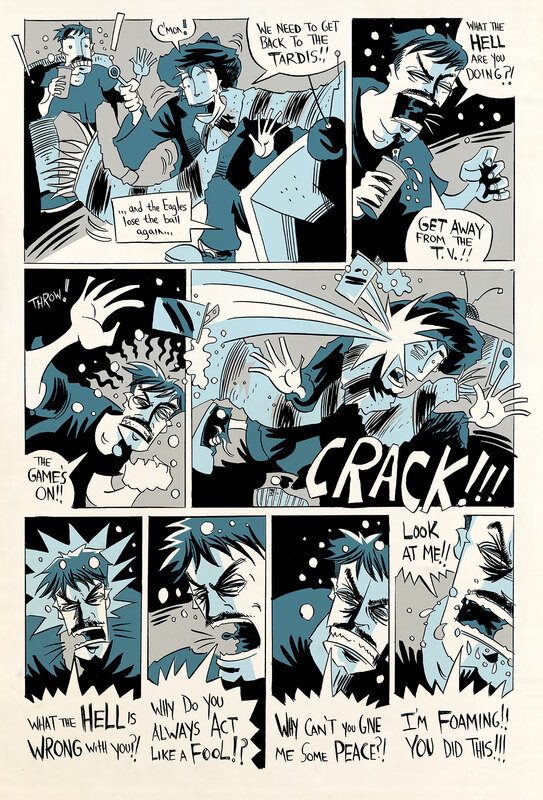 I was just interviewed about 30 Miles, history, comics, and bars at Bleeding Cool.com. 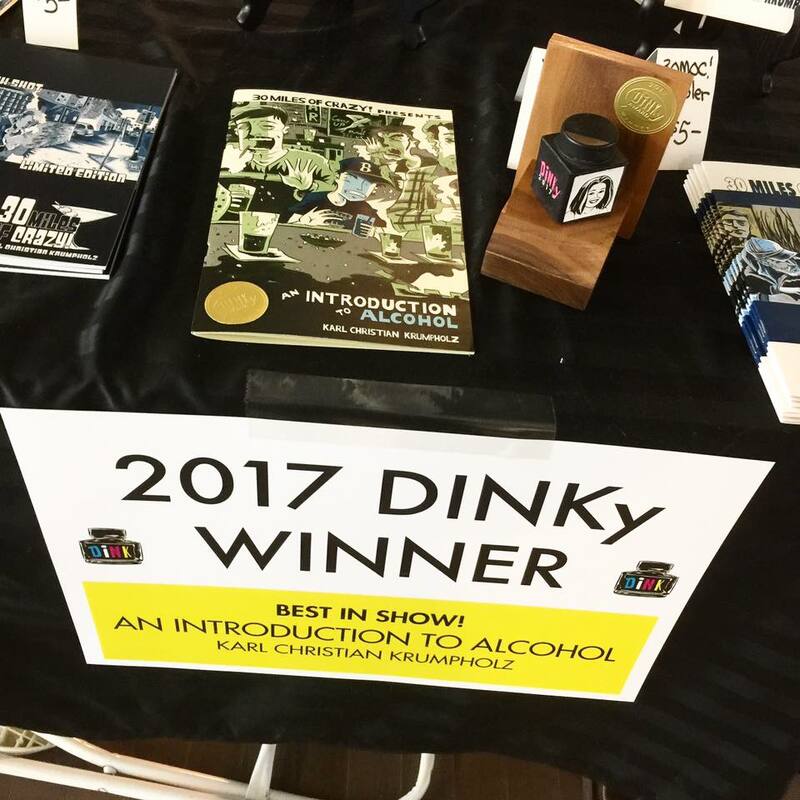 And my new book An Introduction to Alcohol just won Best in Show at DINK. Thank you everyone that voted!!! I’m still kind of wide-eyed about the whole event. Though we sold out of copies of Intro at DINK. Tinto Press should have more available by the end of the month. Next comic will be on Friday, April 21st. 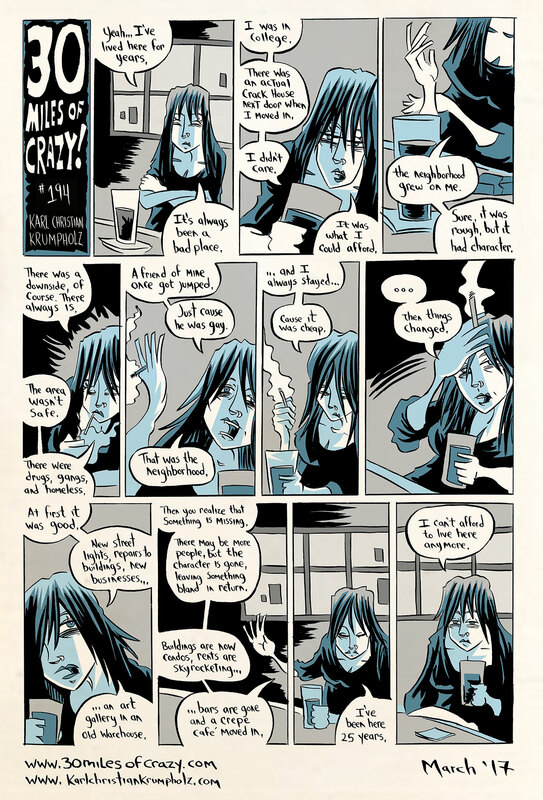 This week: ‘Adventure’ or ‘Another Sunday Afternoon.’ This one is three pages long. Its a rough one. Three 30MOC! updates in one week? Yep, DINK is this weekend! 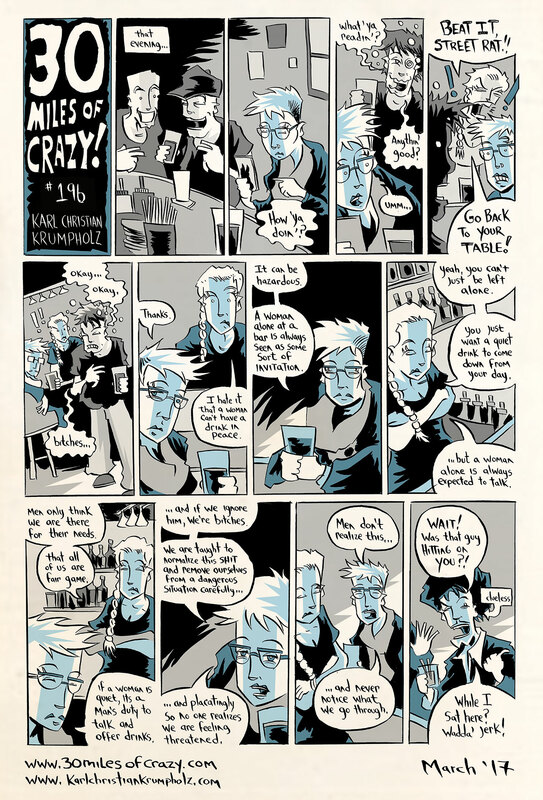 Not only will I be there, but have two new comics to sell, including ‘Introduction to Alcohol’ (the compiled Lil’ Karl stories, including this one) which has been nominated for two DINKy awards (Best Self-Published and Best of Colorado.) 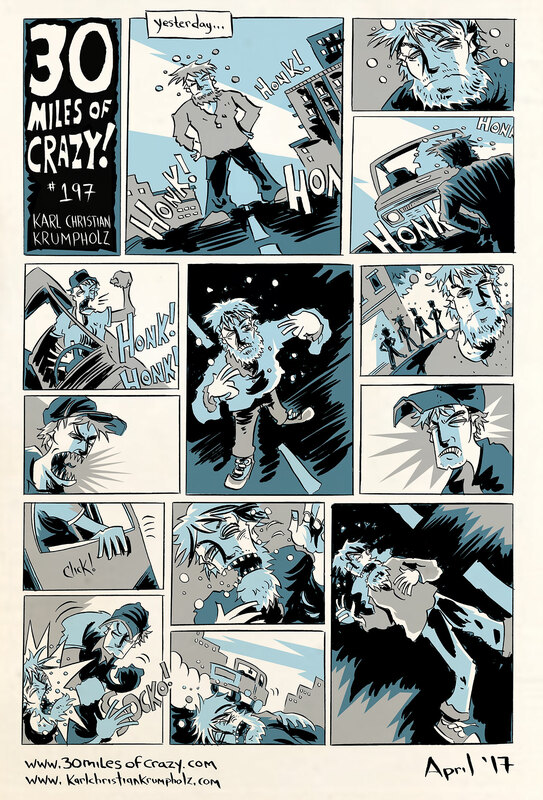 I will also have a new 23-page 30 MILES OF CRAZY! Sampler comic at my table as well. Table C27, Second Floor of the McNichols Civic Center Building. I’m also featured in the Westword article listing some of the artists that will be featured at DINK. Check it out! Next comic will be on Friday, April 14th. DINK is this weekend! 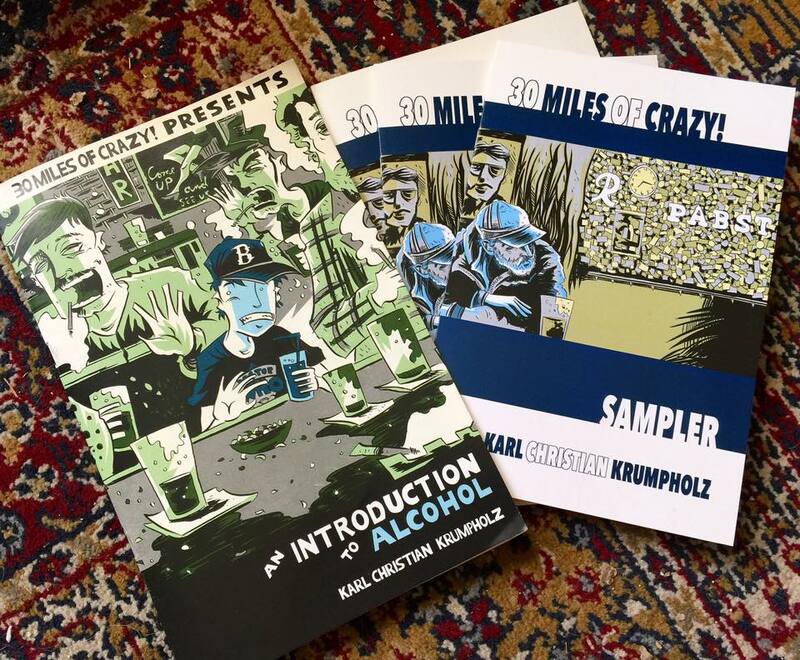 Not only will I be there, but have two new comics to sell, including ‘Introduction to Alcohol’ (the compiled Lil’ Karl stories) which has been nominated for two DINKy awards (Best Self-Published and Best of Colorado.) 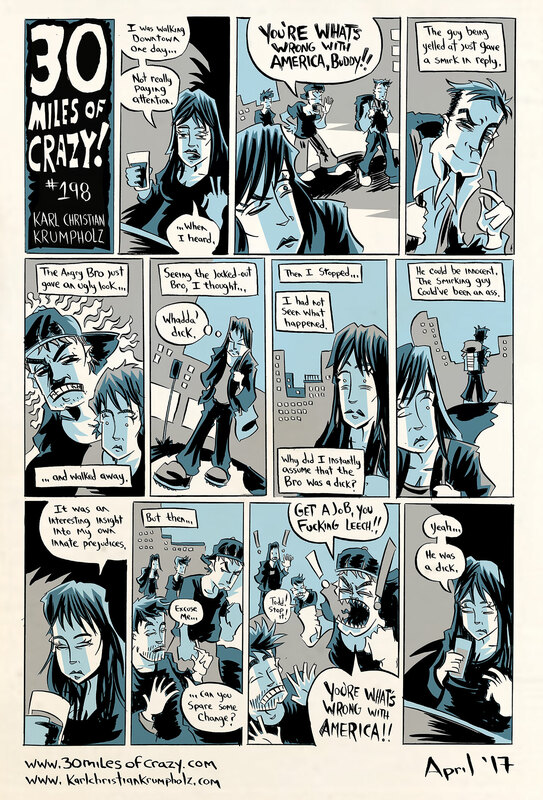 I will also have a new 23-page 30 MILES OF CRAZY! Sampler comic at my table as well. 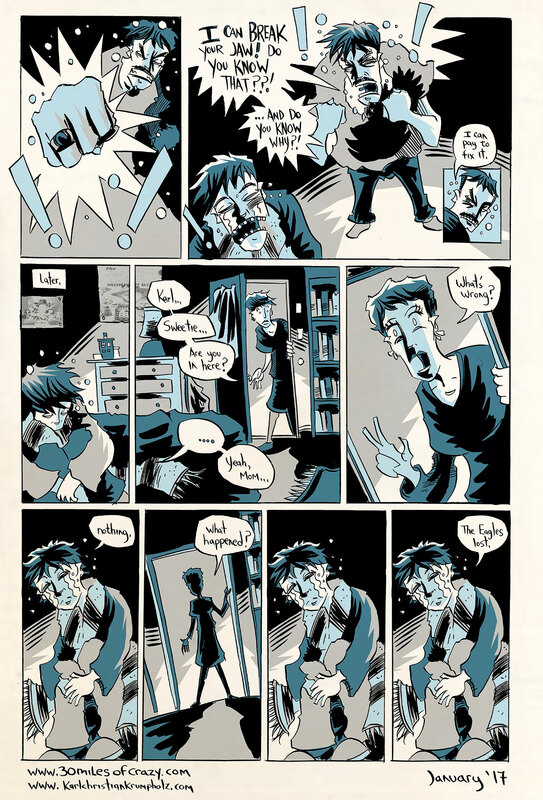 Also, because of DINK, the next comic will be tomorrow! Friday, April 7th.